Born in Greece, he studied recorder, traverso and early music performance practice at the Utrecht School of the Arts, at the Early Music Institutes of Milan (on a Marco Fodella scholarship) and Trossingen and at the Conservatory of Vienna, with Kees Boeke, Heiko ter Schegget, Wilbert Hazelzet and Daniele Bragetti. 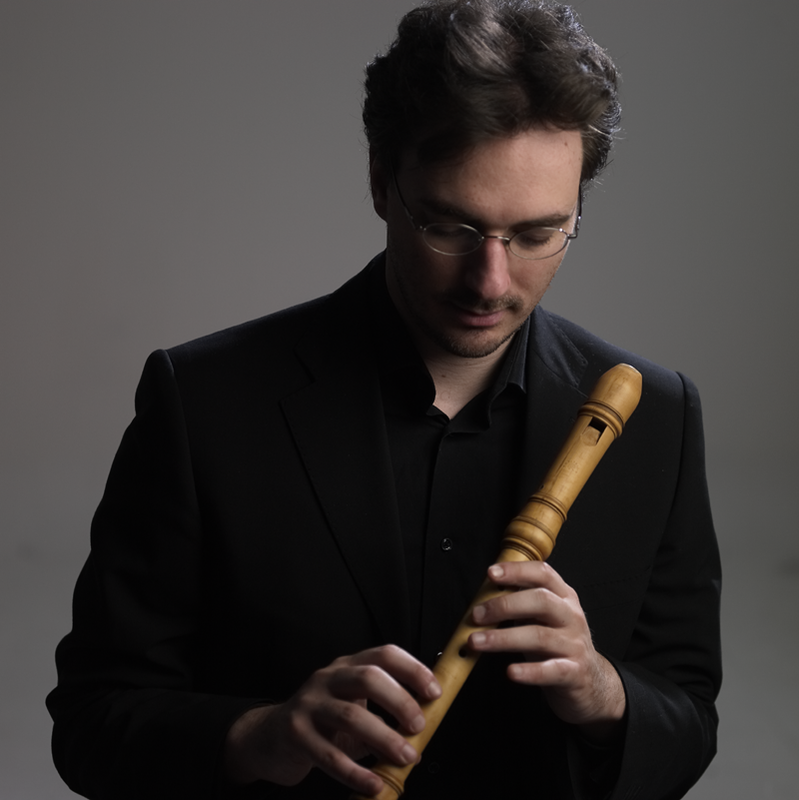 He holds a soloist diploma in recorder performance, a masters on medieval music and a PhD on historical musicology. He performs regularly with Camerata Athens / Armonia Atenea (G. Petrou), with Duo Goliardi (with the bayanist Kostas Rastis) and he is the artistic director of the ensemble Ex Silentio and the concert series “Early Music in St. Paul of Athens”. He has performed in venues and festivals in many European countries and in Asia, such as “Sala Verdi” in Milan, “Pablo Casals” hall in Tokyo, “Megaron” in Athens, “J.S. Bach Festival” of Riga, “Styriarte” festival in Graz, Hellenic festival of Athens. He has recorded for Talanton and Carpe Diem Records with Ex Silentio and in baroque opera projects for MDG and DECCA. 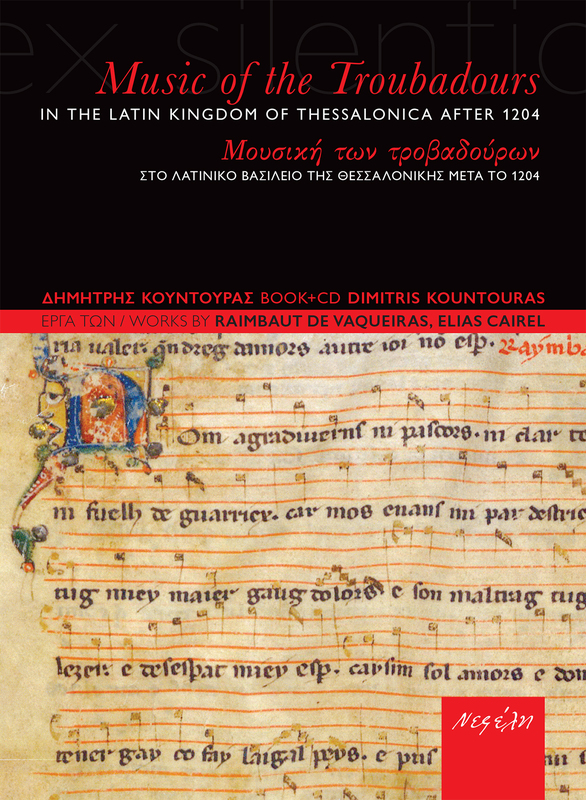 As a post-doc scholar for the Research Centre for the Humanities in Athens, he researched the works of Troubadours of the 4th crusade and their relations to the kingdom of Thessalonica after 1204. He is researching the relations between Renaissance humanism and music and is active as a writer of essays and articles. He teaches at the Athens Conservatory, at Filippos Nakas Conservatory and at the summer course “Music village” in Mount Pelion. Founded in 2001, is one of the few Greek ensembles specializing on early music. The ensemble collaborated with such diverse artists such as the counter tenor Michael Chance and the singer and improviser Savina Yannatou in programs from Medieval up to Baroque repertoire. Appearances in venues and festivals include Styriarte festival in Graz, the Swedish early music festival of Trollhaeten, the summer festival St. Ruprecht in Vienna, the Marco Fodella festival in Milan, the Musica Antiqua da Camera in The Hague, the Mediterranean Festival in Bari, the Mozaik Project in Albania, the Megaron Athens Concert hall, the Greek Festival, the Renaissance festival of Crete etc. Ex Silentio has recorded for Talanton (Nell autunno di Bisanzio) and for Carpe Diem records (Mneme- Early music from the Meditteranean, nominee for ICMA and Pizzicato’s Supersonic price for 2015). Members of the ensemble are teaching at the international music community “Music village” in Mount Pelion. Hard Cover, Dimensions: 14,2x19,4 cm.